Are You Looking for More Budgeting or Debt Help? If you need more help with budgeting or if you are having trouble paying all of your debts each month, highly trained, non-profit Credit Counsellors are available to help. You can speak with a Credit Counsellor in person or over the phone, usually for free or for a very low cost. A Credit Counsellor will help you by reviewing your situation; they help you explore different options and then help you work towards a solution. 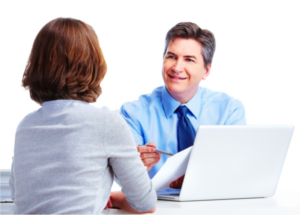 All information you share with a Credit Counsellor is kept completely confidential. Having a budget that allows you to meet all of your obligations is a critical step in helping you get your finances back on track. A trained Counsellor will help you develop a realistic budget. Through a non-judgmental assessment of your situation, your Credit Counsellor will also offer you guidance and identify additional options to help you work out your situation. If you need help with your debts, one of the key benefits of working with an accredited, non-profit credit counselling organization is that creditors recognize their structured repayment programs as successful alternatives to bankruptcy. If you require additional services that a Credit Counsellor is unable to provide, they will refer you to a qualified professional in your area. To explore all your options to get your finances back on track, sit down with a non-profit Credit Counsellor either in person or over the phone. Appointments are usually free and non-judgmental, and they are always completely confidential. Non-profit Credit Counsellors are in your community to help you. Take advantage of that help.